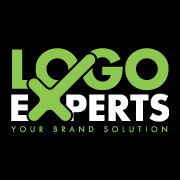 Logo Experts believe in delivering the best. To do so, all our expert logo designers follow a streamlined step-by-step process ensuring high-quality logo and design solutions in Sharjah. To make it easier, we design a variety of logo design concepts from which you can choose and pick the one you like. So for the fast, perfect, reliable, satisfactory, and affordable logo design company in Sharjah, UAE, you can contact Logo Experts. Make a call, know about our price and process, and let’s expose your brand.